President Barack Obama paid homage on Thursday to victims of Argentina’s former US-backed dictatorship, admitting the United States was “slow to speak out for human rights” in those dark days. Obama became the first US president to formally acknowledge the victims of the 1976-1983 military regime, which declassified documents have revealed was supported by top US officials. “There’s been controversy about the policies of the United States early in those dark days,” Obama said in a speech at the Memory Park monument in Buenos Aires. 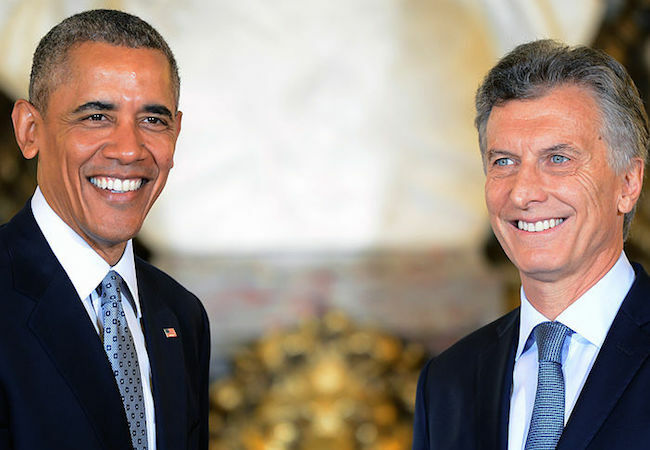 Obama’s visit to Argentina coincided with the 40th anniversary of a right-wing military coup which ushered in the dictatorship, and years of the so called “dirty war”. Victims’ groups had been angered by the choice of the date for Obama’s visit, given the US support for the coup at the time. But they welcomed his promise to declassify further documents to shed more light on the fates of victims of the regime. Paying tribute to victims’ families, Obama reprised a historic phrase from the 1985 trial of Argentina’s dictators, that “never again” (“nunca mas”) must dictators prevail. “To those families, your relentlessness, your determination has made a difference. You’ve driven Argentina’s remarkable efforts to hold responsible those who perpetrated these crimes,” he said. In 2002, Washington declassified 4,000 diplomatic cables which showed US officials, including then-secretary of state Henry Kissinger, encouraged the Argentine junta’s purge of leftists. They may shed more light on US involvement in “Operation Condor,” a plan among secret police agencies across the Southern Cone to target communists, leftists and dissidents. “Prior US government releases have detailed human rights abuses and US policymaking in Chile, Guatemala, El Salvador,” said Carlos Osorio at the National Security Archive. Macri had asked for the further documents to be released. “We all need and we are entitled to know what the truth is,” he said. After the memorial ceremony the Obamas went to the airport to fly to the Patagonia resort town of Bariloche for a few hours’ leisure time, before returning to Washington.